Retro Camera Necklace Only $2.72 + FREE Shipping! You are here: Home / Great Deals / Amazon Deals / Retro Camera Necklace Only $2.72 + FREE Shipping! Here’s a fabulous necklace for all you shutterbugs! 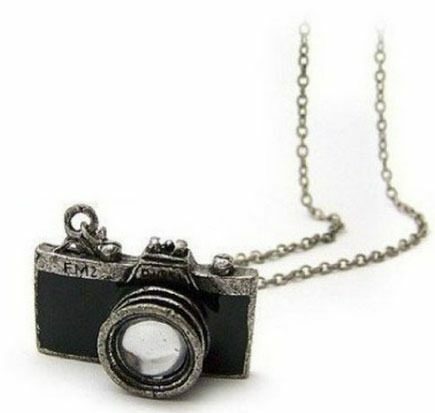 Grab this super cute Retro Camera Necklace in black for just $2.72 with FREE shipping! I LOVE this necklace! I love to take pictures, so I’m totally grabbing one for myself. This would make a great gift for a friend who loves to act as photographer (or who IS a photographer), too!